January 24 is Change a Pet’s Life Day – a day to encourage shelter pet awareness and adoption. We all have the power to change the lives of animals in need – whether it’s by giving our time, money or simply spreading the word about issues in the animal world. The Bow Wow Buddies Foundation strives to change pets’ lives every day. The Foundation offers a second chance to sick and injured dogs in need by providing medical care funds to dogs who are either homeless or whose parents cannot afford to pay their veterinary bills. Here’s a story of one pup whose life changed thanks to the support of donors, rescue volunteers and veterinary staff. Zeke was found as a stray by Safe Harbor Lab Rescue and it was clear he had been neglected and needed many procedures including an ACL repair. Without these procedures, Zeke was not in adoptable condition. The Bow Wow Buddies Foundation provided a grant to help cover the cost of Zeke’s surgeries, after which he was adopted by his fur-ever family. “We were very grateful and pleasantly surprised to be the recipient of a Bow Wow Buddies Foundation grant. We are a small non-profit rescue and providing a Zeke with TPLO surgery is quite a financial commitment for us. Zeke was a stray shelter dog who was unadoptable at the shelter due his painful ACL injury. 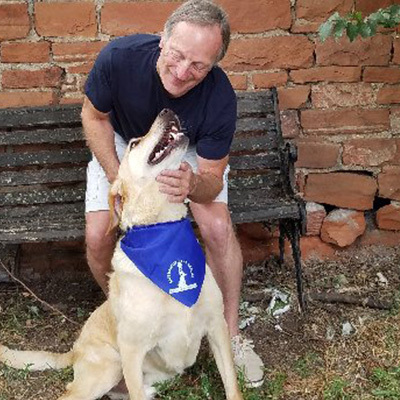 The grant...literally helped save his life as well as giving him back his mobility and a pain-free life.” - Jacky with Safe Harbor Lab Rescue. Thanks to the Bow Wow Buddies Foundation and Safe Harbor Lab Rescue, Zeke’s life was changed forever. He now can live a happy, healthy life and plans to accompany his dad on many road trips across the United States. You can change the lives of more dogs like Zeke by donating to the Bow Wow Buddies Foundation – every dollar helps save a dog’s life. Donate today!